Egypt’s foreign ministry summoned Turkey’s ambassador to Cairo on Tuesday, in protest against “Ankara’s interference in Egyptian affairs,” Al Arabiya reported. The Egyptian move came after Turkey described the overthrow of former president Mohammed Morsi as “unacceptable coup”, in a reaction that was seen in Egypt as the strongest reaction from overseas. On Friday, Turkey's prime minister Recep Tayyip Erdogan condemned the military intervention that toppled Morsi as an enemy of democracy. Erdogan chastised the West for failing to brand the ouster a coup. Referring to his country's history of coups, Erdogan warned that such military uprisings come at a heavy price and must not be tolerated. "No matter where they are... coups are bad," Erdogan said in televised remarks. "Coups are clearly enemies of democracy. 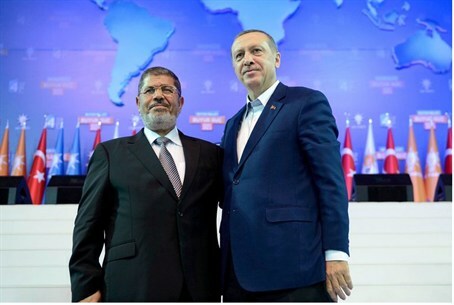 "Those who rely on the guns in their hands, those who rely on the power of the media cannot build democracy.... Democracy can only be built at ballot box," said Erdogan, who had forged friendly relations with Morsi during the Egyptian's one-year in power. A day earlier, in a rare show of unity, both Erdogan’s ruling AK Party and its opposition Republican People's Party condemned Morsi’s overthrow. AKP spokesperson Huseyin Celik told reporters that the coup was a sign of "backwardness," and accused some Western nations of having supported the overthrow.